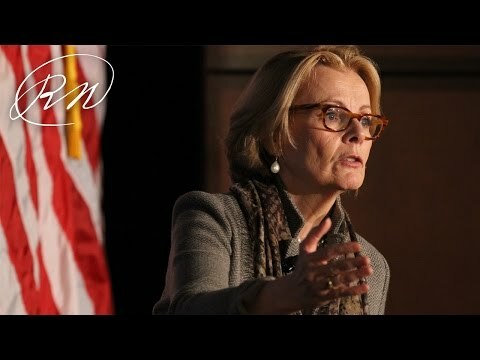 November 6, 2015: Must-read Wall Street Journal columnist and New York Times best selling author Peggy Noonan visited the Nixon Library for a discussion on her distinguished career as one of America’s top political commentators. She has compiled the best of her writings into one indispensable volume, The Time of Our Lives: Collected Writings. She chronicles her career in journalism, the Reagan White House, and the political arena. Annotated and analyzed throughout, Peggy expands a lifetime of wonderful writing into an astute examination of American life. Richard Grennel, a Fox News Contributor, moderated the discussion.